Disney's Hollywood Studios, Sunset Blvd. Rate and review Catalina Eddie's in Orlando, FL, United States! 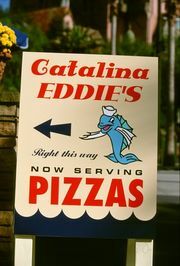 Share your experiences at Catalina Eddie's with your friends or discover more American Restaurants in Orlando, FL, United States.